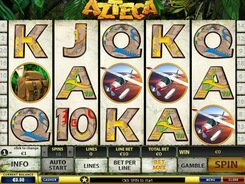 Azteca is a captivating 5-reel 20-payline video slot from Playtech for lovers of adventures and big winnings. The minimum possible coin value is $0.01, and the maximum – $5. The top bet per spin amounts to $1000 with the highest prize of 10,000 coins. The symbols are travel-themed, so on the reels you get an airplane, monkey, knapsack, and the like. The game is extremely bonus-packed. 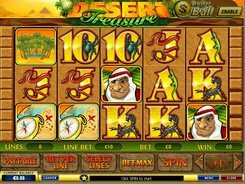 The Aztec Pyramid icon is a wild symbol that acts as a substitute for other icons and multiplies your total bet. The scatter in the game is the Adventurer. 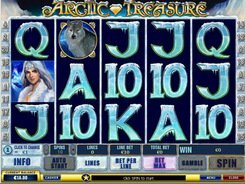 When more than 3 scatter symbols appear in any position, the player is additionally awarded 12 free spins. 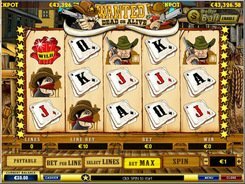 The combinations completed during these free spins, get three times the regular payout. 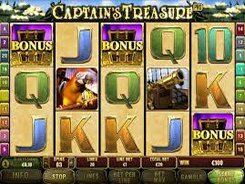 The bonus game is triggered by three or more Golden Mask symbols on an active pay-line. Besides, if you receive either four or five Masks, the reward will be x5 or x27 times your bet. In the bonus round you have to find your way to the Temple of Gods and get the gold statues to earn money and win through to the second tier! Infiltrate into the Temple of the Sun and pick the Golden Orb needed to increase your bet multiplier. PLAY FOR REAL MONEY!